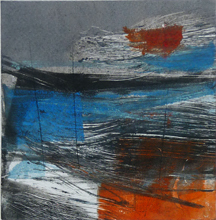 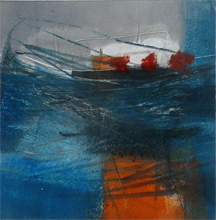 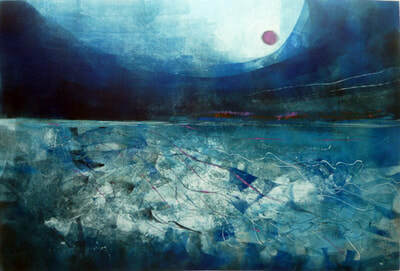 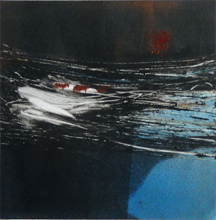 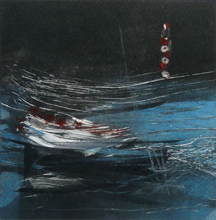 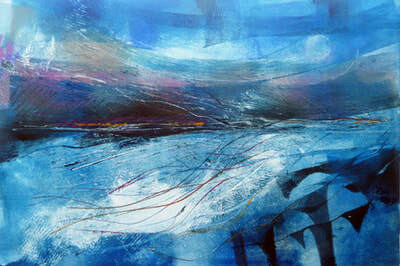 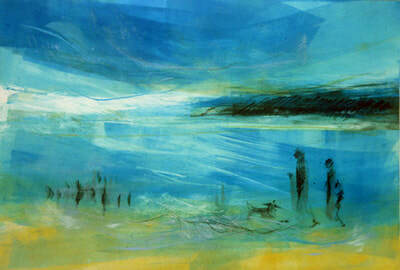 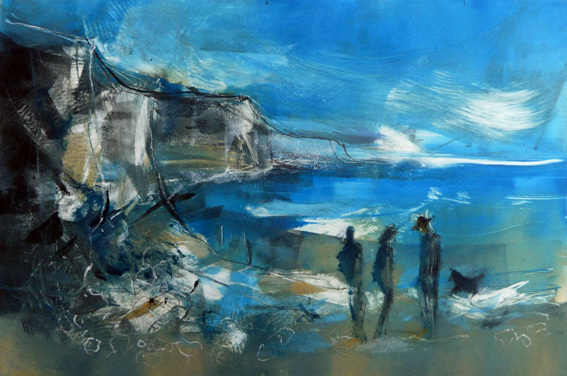 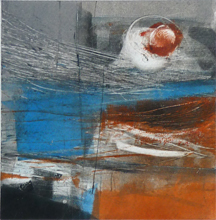 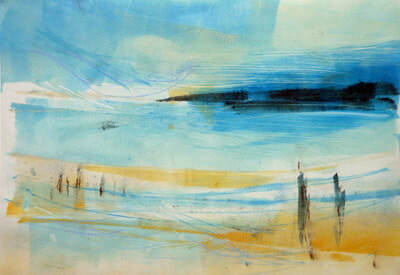 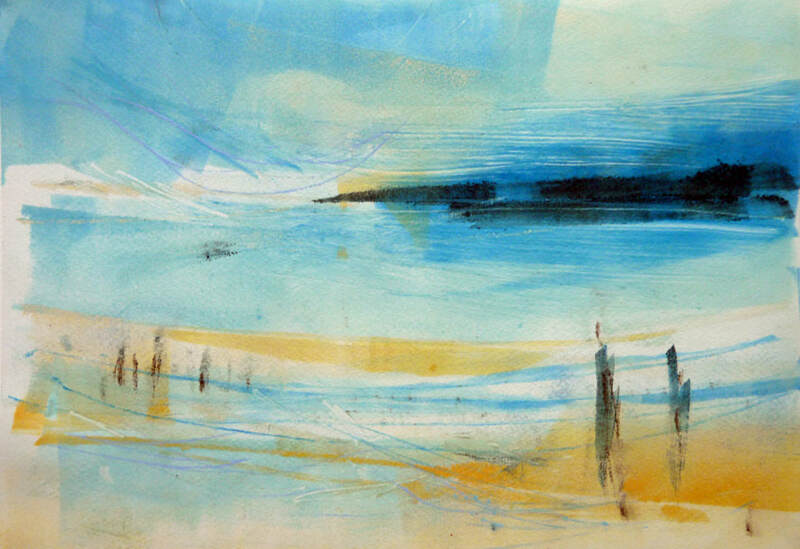 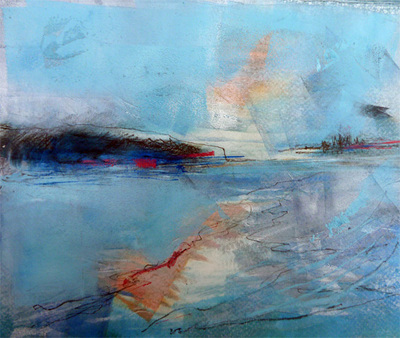 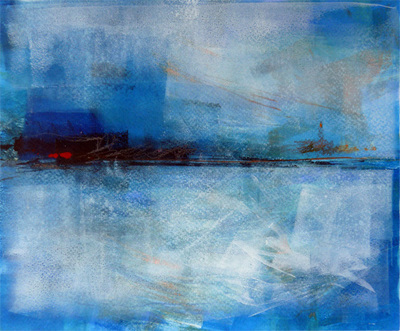 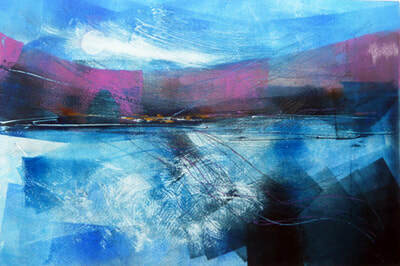 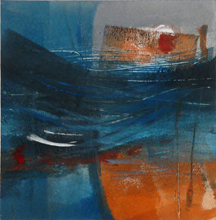 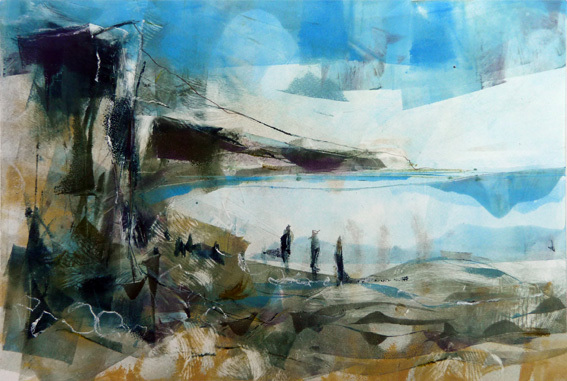 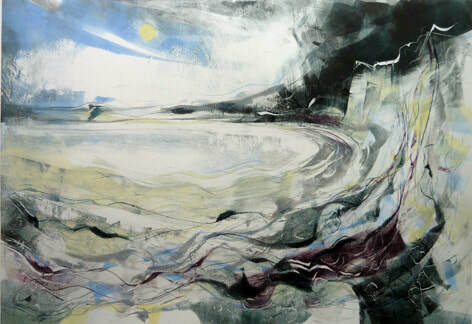 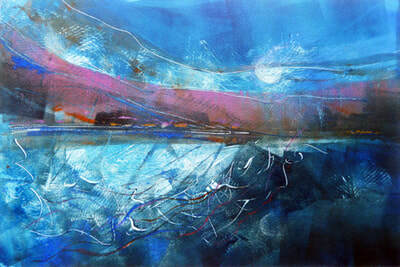 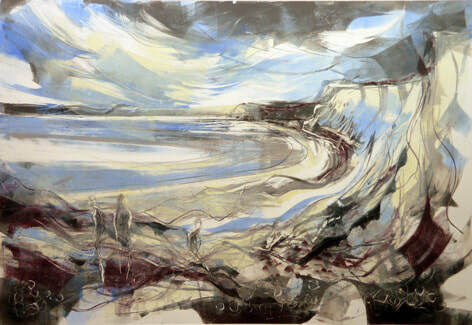 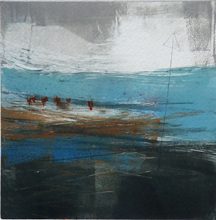 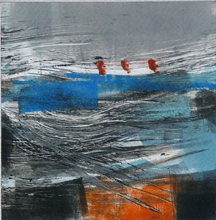 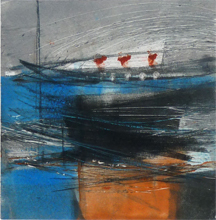 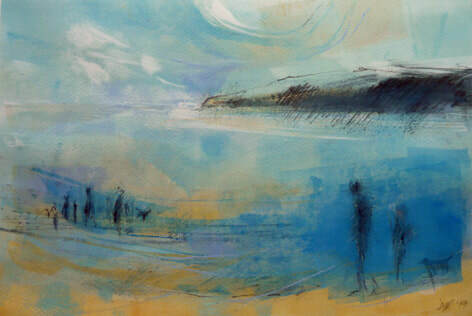 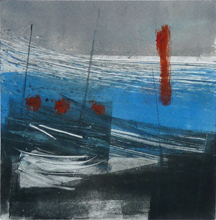 Sea State 1, silkscreen monoprint. Sold. 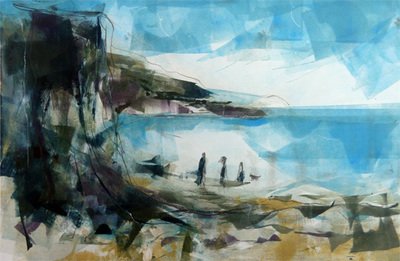 420mm x 520mm framed size. 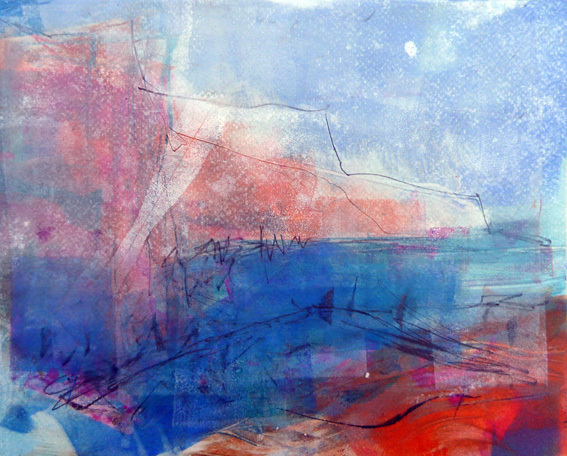 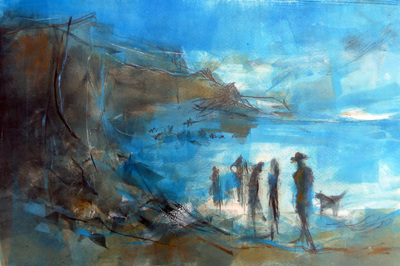 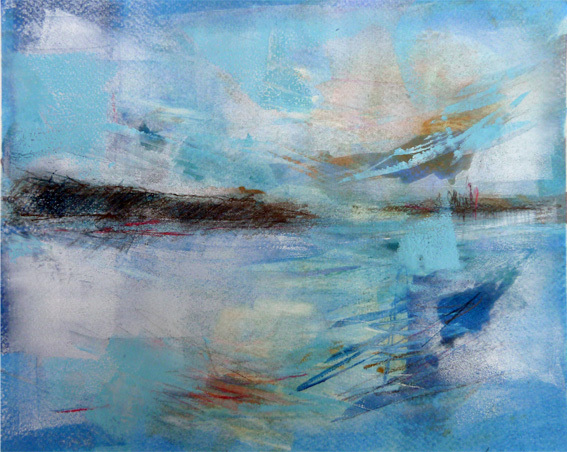 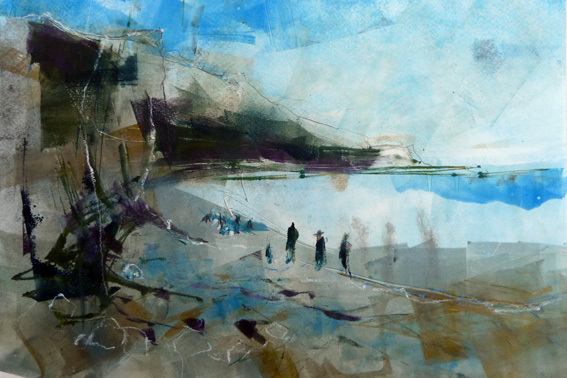 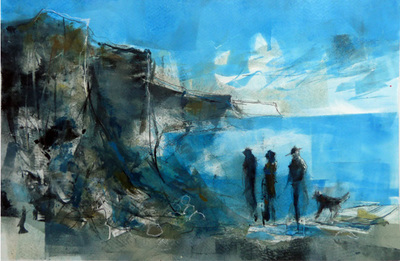 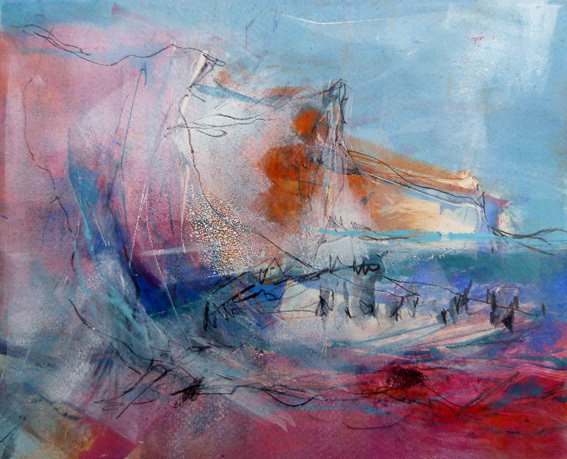 Acrylic painting on paper, image 400 mm square, torn edges - to be float-mounted on paper with white or black 520 x 520 frame.